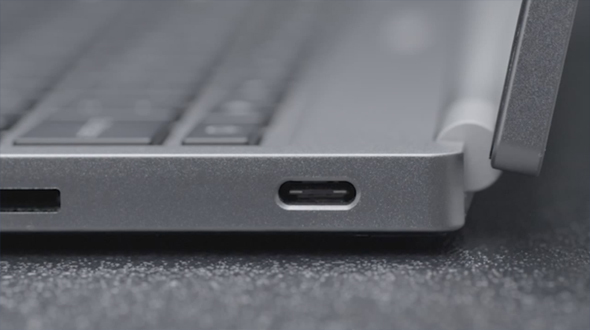 You must have heard lot about USB Type-C or C-USB, which is being included in the mobile and laptop devices. Thanks to the Apple Mac-Book, C-USB became popular in the market, but many of us still have no idea why or how C-USB will help or why we need it. With the Laptop and Mobile Manufacturer moving towards the thinner designs, it was very tough to keep the standard ports of the laptops accommodated in thinner designs. This difficulty or inspiration gave the birth of C-USB. In Today’s article we will look in deep how C-USB is different and what it can do to make our life easy. To understand C-USB or Type-C USB better, we will do an over look on Type-A & Type-B USB as well. Type- A USB is also known as the USB Standard-A, USB Type-A carries the basic or original design for the USB standard with a flat and rectangular Shape. Currently USB 1.1, USB 2.0, USB 3.0 or the below versions runs on USB Type-A design, which helps to communicate between then even with different USB versions. For Example if a device is having the port with USB 3.0 versions it can easily communicate with the devices with USB 2.0 and vice versa. Type –B USB is typically used at only one end of a standard USB cable that plugs into peripheral device like a printer, a Smartphone or external Hard Disk. Type –B USB is also known as Type B-Male. On the other side of the cable, the USB port is called Type B-female. As this type of USB connects to multiple devices with different types of ports, Types –B USB has different types. The original Standard (Standard – B): These are traditionally designed for USB 1.1 and later on also used in USB 2.0. These types of cables are used to connect the large peripheral devices, such as printers or scanners to computers. Mini – USB (or Mini-B USB): As the name suggests these type of USB is significantly smaller than the traditional designed USB’s. These “Type – B” ports are found in older portable devices, such as digital cameras, Smartphones, and older portable devices. Now a days this design is becoming obsolete. Micro –USB (or Micro –B USB): This type of USB has replaced Mini – USB in almost each and every mobile device. Micro – USB Type- B port is currently the most popular USB design for latest Smartphones and Tablets. Micro – USB 3.0 (or Micro- B USB 3.0): This is the most used ports for the USB 3.0 portable drives. Standard –B USB 3.0: This design is very similar to the Standard-B, however, it is designed to handle USB 3.0 speed. What is “Type – C USB”? In other words Type-C connector is smaller version of all in one USB port, it means that for your mobile you will have no worries about which port you have to buy from, Micro or Mini. These ports are small in size but have the capability to work in server or PC. Following are the three things you will be able to do with USB Type-C.
Type-C USB with the capability of powerful USB and smaller in size makes it very handy for users and manufacturing companies to make thinner devices in the category of laptop and Mobile. Yes you read it correct Type-C USB gives you an option to remove all the other ports from your laptop and use Type-C USB for all of your uses. Imagine your laptop with one or two Type-C port to do all the work of connectivity. Charging your phone with USB port from your PC or Play Station is a big pain, as the time taken by USB is much higher than to be compared with the socket charging. With Type-C USB this pain will be resolved as Type-C USB has a power for delivering specification of 100 watts, with the compression of 2.5 watt in USB 2.0. Type – C USB is one of the best thing happening in connectivity domain as it gives lot of power to users and designers to use and work with devices at the fullest. If you have liked the post, please share with your friends and family. You can also subscribe to our RSS FEED for all the updates directly into your mail box.